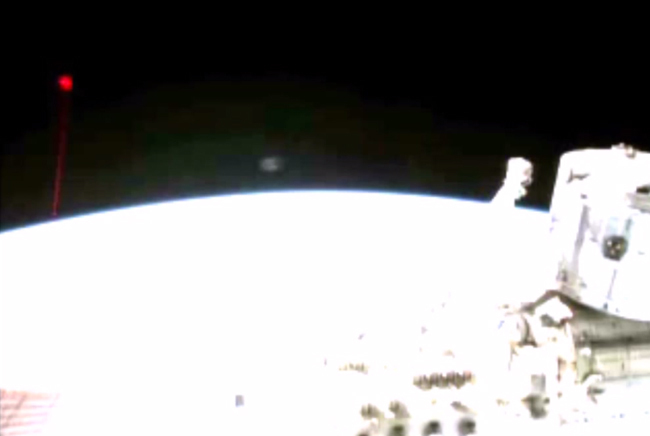 Home / Featured / Did ISS cam capture video of a UFO shooting a laser at Earth? A video recorded from the International Space Station’s live video feed shows a strange red dot in space that seemingly shoots a laser beam towards Earth. The video was captured and uploaded to YouTube by user Streetcap1 on December 5. Although it is possible that the ISS camera captured an extraterrestrial UFO, there are other potential explanations for the strange light and the laser beam. The video was reportedly recorded on December 5. On this date, the European Southern Observatory’s Very Large Telescope fired its laser into the sky to create an artificial star. This process is done periodically to fine-tune the observatory’s telescopes. But a more likely explanation for the unusual laser in the video is an instrument attached to the ISS called the Optical Payload for Lasercomm Science (OPALS). As Discovery News explains, this instrument is part of a new laser communications system. 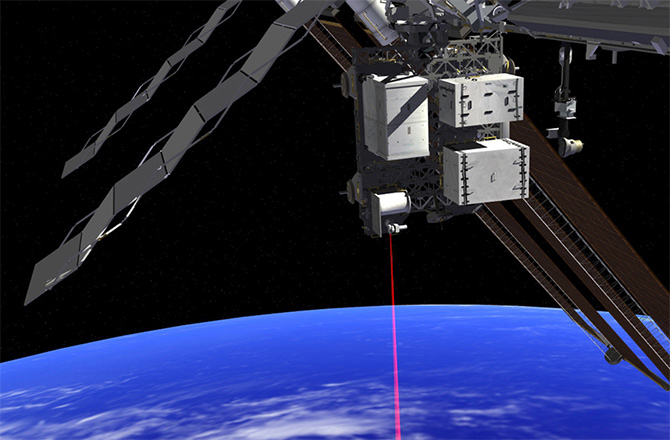 “Four lasers from the ground station travel through the sky toward the space station. Under clear, dark background conditions, it’s very easy for the payload to acquire the ground beacon. Daylight conditions have proven more challenging, but we are working on increasing capabilities during the day as well, through software enhancements,” explains Matthew Abrahamson, OPALS mission manager at NASA’s Jet Propulsion Laboratory. It is unknown if there were OPALS tests being conducted on December 5. So, although the OPALS instrument provides a possible explanation for the strange laser-like object seen in the video, that possibility has not been confirmed. A laser beam wouldn’t be visible in the (near)vacuum of space, would it? This red beam was supposedly a satellite test. NASA posted an article about it on Twitter, if you are inclined to believe everything NASA says. Seems legit to me, though.